At i2e Consulting, we don’t want you to be paying more than you have to for your IT solutions. That’s why we offer Office 365 solutions that can save you significant sums of money each year. Starting with an average savings of $11,000 in hardware and software deployment costs annually, the amounts go up considerably from there. 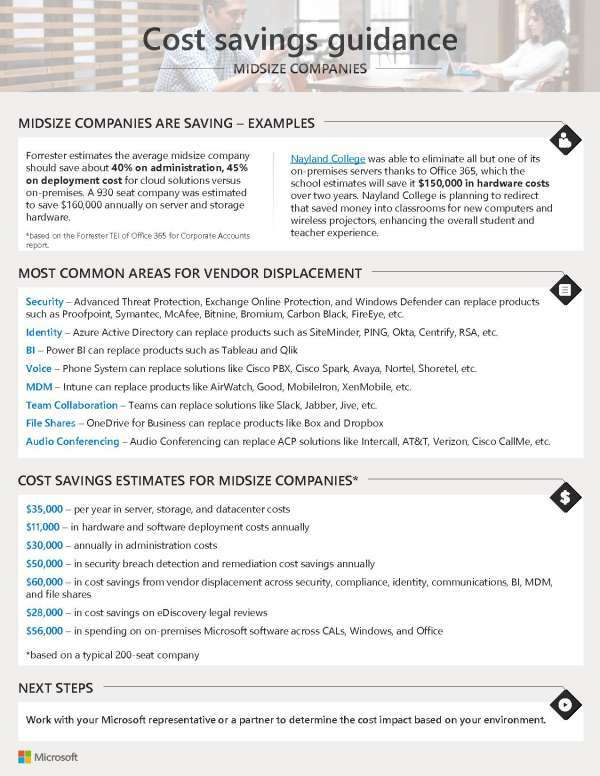 With $30,000 in savings for administrative costs and up to $60,000 in savings from vendor displacement across a host of areas, these savings are real.